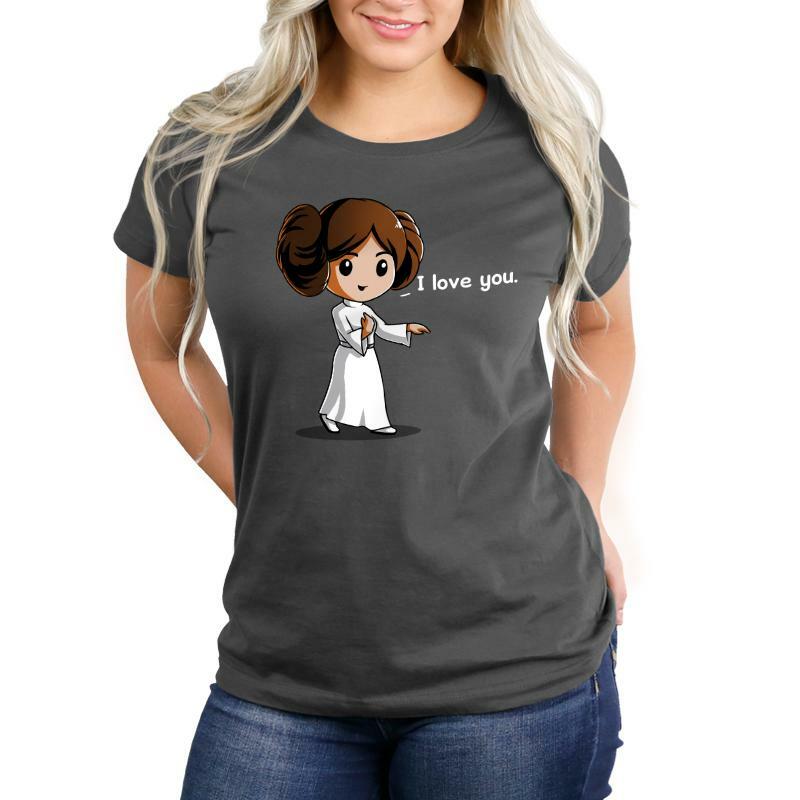 These cute women’s Star Wars matching t-shirts are available at TeeTurtle. 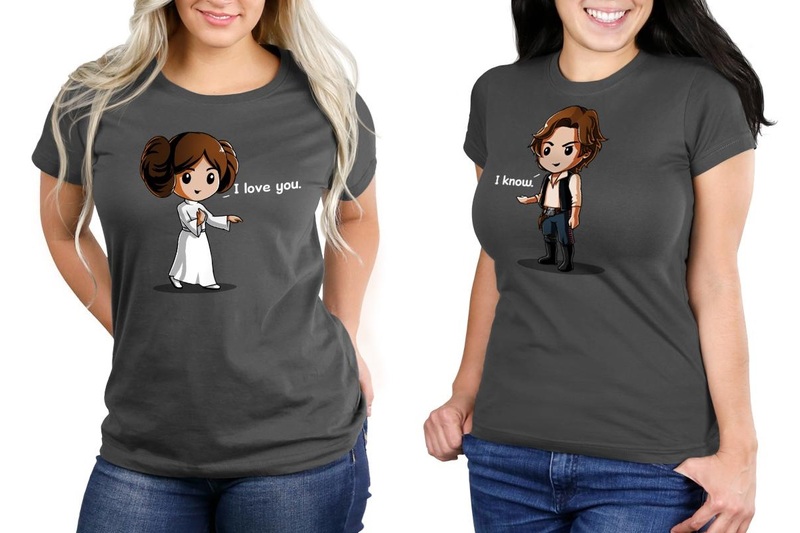 The grey t-shirts feature Princess Leia or Han Solo, each with their half of the romantic Star Wars quote. I love the cute artwork style TeeTurtle uses! While it’s not hard to find matching ‘I Love You’ – ‘I Know’ t-shirts, many sets feature Han Solo on a men’s t-shirt – this TeeTurtle range lets you decide if you want men’s or women’s tees! Each design is available on three t-shirt styles – women’s relaxed fit, women’s ultra slim, and standard unisex. All three t-shirts are made from 100% cotton (soft ringspun). 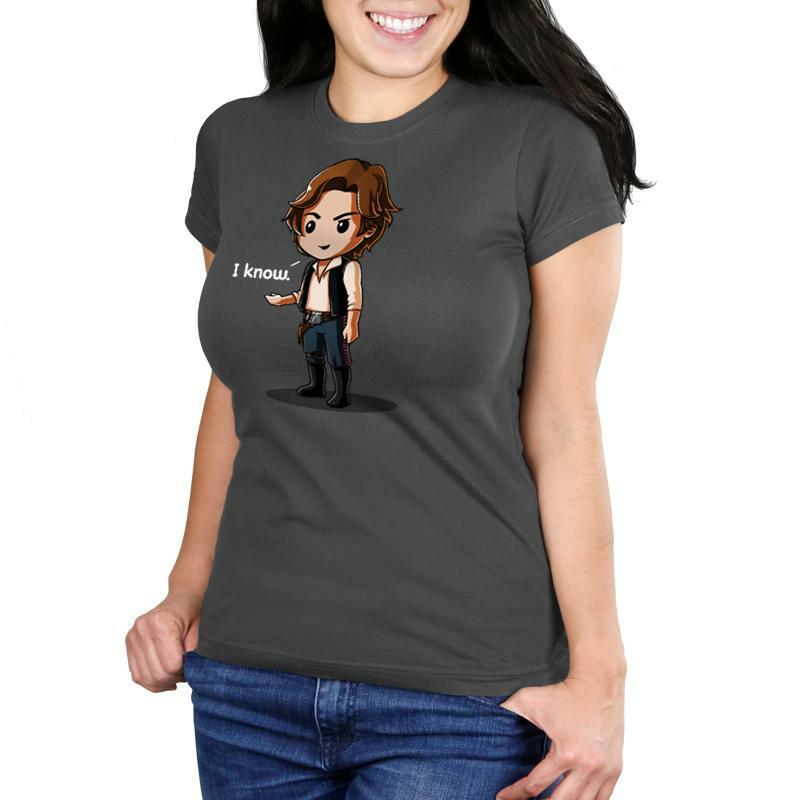 Priced at US$25.00 each, the t-shirts are available in S to 2XL – TeeTurtle can ship internationally, which is great! Photos sourced from and belong to TeeTurtle.